Stickley Painting & Decorating, Inc. was founded by Paul Stickley in 1986. 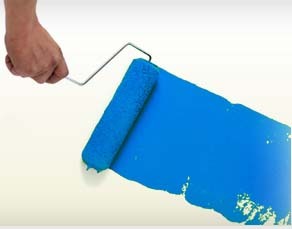 We are a full-service painting and wallpapering company licensed in Maryland, West Virginia, Pennsylvania and Virginia. Since our founding, Stickley Painting & Decorating, Inc. has established a reputation of honesty, quality and meticulous workmanship. Our name is well respected throughout the areas for professional interior and exterior painting and wallcovering contract work. We specialize in high end residential and commercial services. We pride our self in customer satisfaction. We are fully insured and bonded and are a member of the Painting and Decorating Contractors of America (PDCA), the PDCA’s Middle Atlantic Council and Residential Council and the National Guild of Professional Paperhangers. Stickley Painting & Decorating, Inc. strives to be the Leader in providing an unsurpassed decorating experience for our customers that exceeds their expectations through the use of highly trained employees who insist on superior customer service, satisfaction and safety. We do background checks and drug testing on all of our employees. We are dependable and honest. “The Professionals You Can Stick With”: Stickley Painting & Decorating, Inc.